There's still time to register for your Section Meeting. Don't miss this chance to collaborate with colleagues from your region! Volunteer or nominate a fellow member to serve as an officer, a member of a Committee, or a GSA representative to another organization. We invite you to think broadly about your nominations and help strengthen our science and Society through diversity. GSA has 21 specialty Divisions that any member may join. Network with others in your area of specialty. Get the most value by joining a GSA Division on your renewal form; or join a Division at any time. As an international scientific society, GSA serves members in academia, government, and industry around the world. 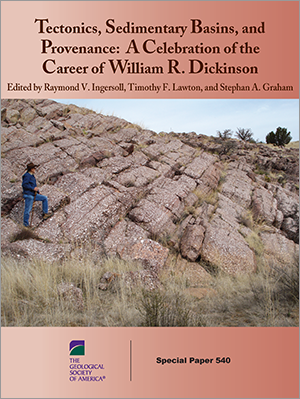 Since 1888, GSA’s meetings, publications, and programs have enhanced the professional growth of geoscientists and fostered geoscience stewardship and service. 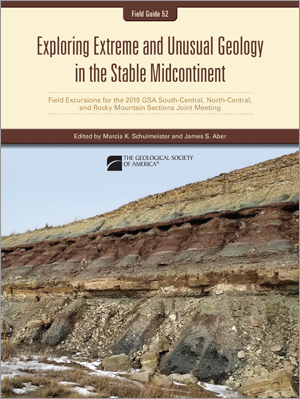 GSA encourages cooperative research and public dialogue on geoscience issues and supports all levels of earth-science education. Shop great deals on GSA gear! What’s better than attending one of GSA’s Section meetings? Learning about geoscience careers and winning a prize for doing so! Come to the GSA Foundation booth at each section meeting and try your hand at a quiz about geoscience careers. While winning a fun prize is great, the information you’ll learn will be invaluable. Find out how you can support impactful GSA programs, and for those Tektonikos student donors who have not yet received one, we will have will have custom bandanas on hand. We look forward to seeing you! As of 1 March, GSA's On To the Future and Minority Scholarship programs are accepting applications. Deadlines are 31 May and 15 May respectively. The full March-April issue of GSA Today is now available to read online or download. GSA is nearing the end of the planning phase for our decadal strategy. Read the full update. GSA MEMBER COMMUNITY Stay in touch -- search the directory. 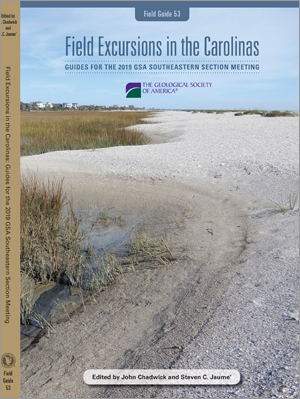 SUBSCRIBE Subscribe today to receive GSA CONNECTION, GSA's monthly e-magazine Also Get E-NEWS for Educators, GeoCorps, journals, meetings, and more. Earth Day Join GSA and an expected 1 billion people in the worldwide celebration of Earth Day. Careers Webinar Register now for "Exploring a Career in the Paleontology Field," a free webinar. GSA Spring Meetings GSA members are invited to attend open portions of Council Meetings and the Annual Corporate Meeting. Learn more.